Qualified Travel Industry Candidates, Apply Today! We are a team of tenured travel professionals in recruitment, aiming to simplify your staffing needs. Our job is to make you look good, by hiring the best qualified team for your business. Our mission is to provide a superior level of service and care, to become the premiere recruitment firm of choice for travel and hospitality companies. We will maintain our investment in people and technology to achieve this goal. We will act ethically at all times and, if need be, at our expense to maintain this core value. We specialize exclusively in the travel & hospitality industries. We will never be the biggest. Just the best. 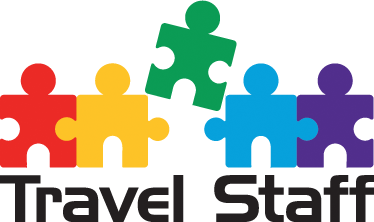 Travel Staff is a recruitment agency with an extensive client data base to help search for the best job placement based on your skills and requirements. Our clients come from all over the travel industry. Airlines, Travel Management Companies, Hotels – wherever your career path leads you, let us help you get there! Travel Staff takes the burden of sifting through a myriad of resumes from potential candidates from your plate, with a promise to only send you the best candidate recommendation to work for your company. We'll send you only the best qualified candidates. What We Do: Promote and post your open jobs on various social media sites and job boards, screen applicants, conduct reference & background checks, and submit the best qualified candidates for your consideration. We work with Sabre and Amadeus to ensure all Travel Staff candidates for travel consultant positions are tested for GDS proficiency. Proud to be members of these Associations who connect professionals in our diverse industry! Outstanding recruiters for the Travel Industry.